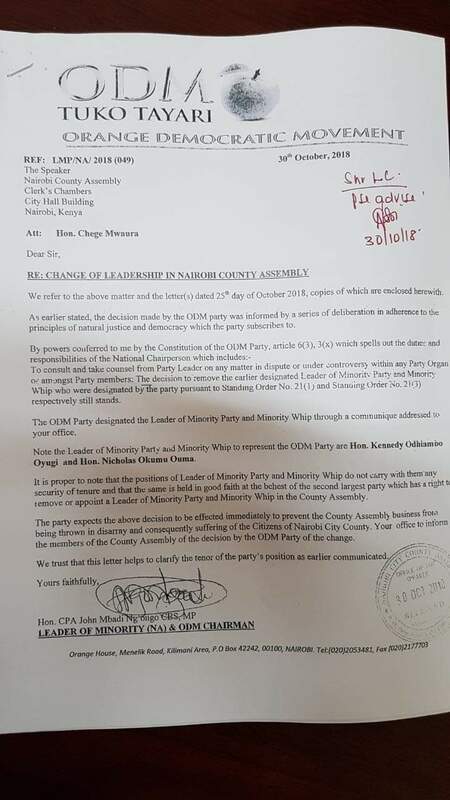 The Orange Democratic Movement (ODM) Party Chairman John Mbadi has written to the Nairobi County Assembly Acting Speaker Chege Mwaura, insisting on the removal of Minority Leader at the County Assembly Elias Otieno and Minority Whip Peter Imwatok. 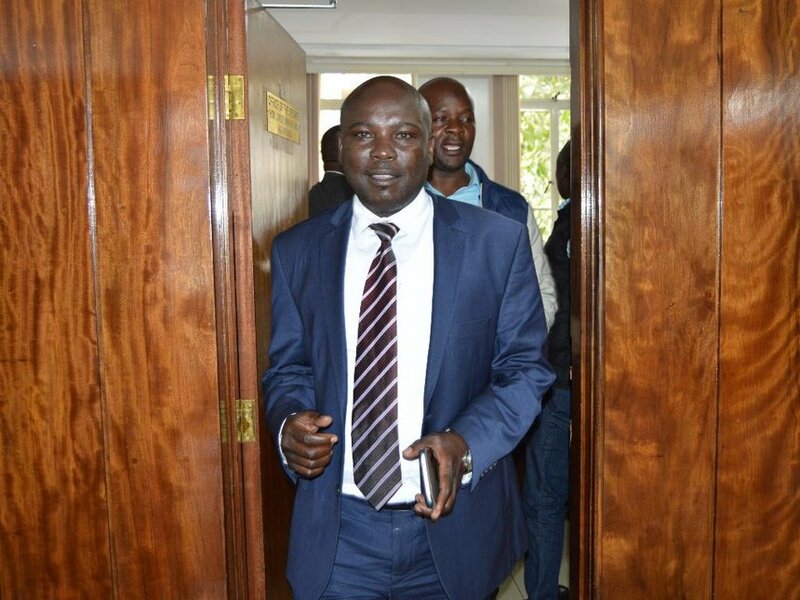 On their place, ODM had appointed Highrise MCA Kennedy Oyugi and Savanna MCA Nicholas Okumu respectively, who were rejected by Mwaura on grounds that the party did not follow the right procedure. In today’s letter, Mdadi has said that the removal remains, following consultations with the Party leader Raila Odinga and other leaders in the party. “It is proper to note that the positions of Leader of Minority Party and Minority Whip do not carry with them any security of tenure and that the same is held in good faith at the behest of the second largest party which has a right to remove or appoint a Leader of Minority and Minority Whip in the County Assembly,” read the letter in part. Mbadi further said that ODM expects that the changes are effected immediately. “The party expects the decision to be effected immediately to prevent the County Assembly business from being thrown in disarray. Your office to inform the member of the County Assembly of the decision by the ODM party of the change,” stated Mbadi. Earlier on, political pundits had seen it as a game plan by former governor Dr Evans Kidero to stifle city politics and distabilise the current governor Mike Mbuvi Sonko. Kennedy Obuya was Dr Kidero’s bodyguard and a close ally. On the other hand, Elisha Otieno served as the Majoity Leader in Kidero’s regime but fell out with the governor towards the 2017 general election. Otieno led in the forceful removal of Magarer Langat as ODM executive director, something that did not augur well with Kidero.